PEDIGREE DONATION GLASSES. SEE THE DIFFERENCE A DONATION MAKES. 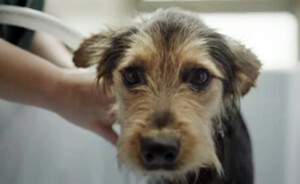 Every year, The Pedigree Adoption Drive offers support to thousands of abandoned and mistreated dogs across the country. While the numbers of abandoned dogs hadn’t dropped, unfortunately public interest had. We needed to find a new way to connect. Utilising groundbreaking cinema technology, allowing viewers to see two entirely different films on the same screen, we created two parallel stories – one of a mistreated dog who gets rescued, the other of the same mistreated dog who tragically never gets found. 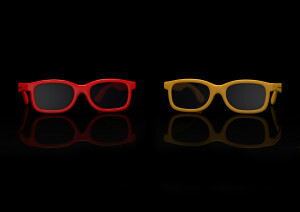 Before the movie, cinema goers were asked to choose between two pairs of glasses; a free pair and a donation pair. That choice decided the fate of the dog on screen.